Are organizations haunted places? Oh, yes indeed! Come with us into this ephemera special issue to explore the ghostly matters of organizing. 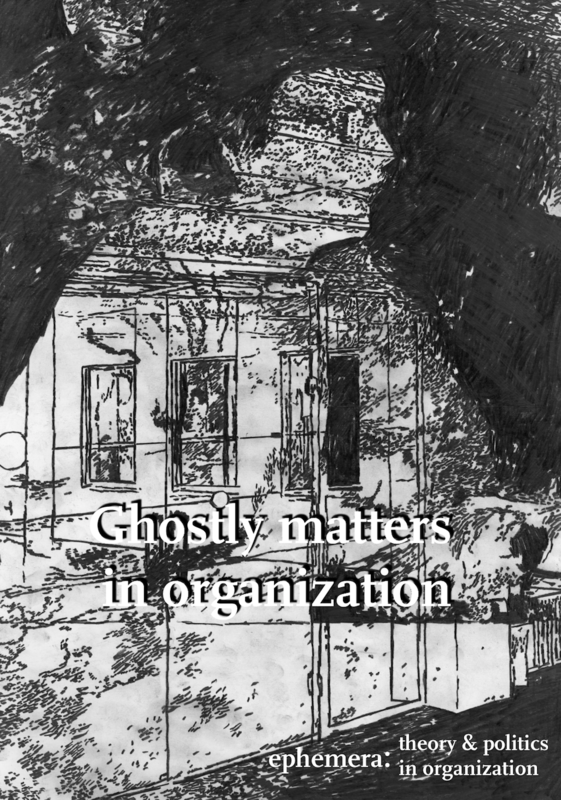 This issue sets out to encounter and explore ghosts and ghostly matters in organizations and organizing. The contributions meet, hunt, sight and summon ghosts in various organizational settings: public parks, primary schooling, digital afterlives of scientific controversies, financial capital, old books and in quotas for women in management. In different manners, the authors of this issue investigate those strange and affectively charged moments in organizational life, where it becomes possible to discern that something, which should not be there, something, which was repressed, forgotten, misplaced, or deemed unfitting, has not willingly vanished, and is now resurfacing. Albeit in different manners (and matters), the contributions search for and develop analytics apt to explore how certain events, statements, moments or encounters come to have a capacity to open up for forgotten, silenced and lost pasts as well as futures. So, dear readers, join us in calling forth the ghosts of organizing! Let us create other sensuous capabilities and learn to listen to what ghosts might have to say about organization and management.